Tiger Woods won the 2019 Masters on Sunday, his first major title win in 11 years. The 43-year-old finished the four-day event with a total score of -13, one shot ahead of his American rivals Dustin Johnson, Xander Schauffele, and Brooks Koepke in second place. While others lost their cool, Woods rolled back the years to hold his nerve. With the win, Woods’ ranking has jumped to 6th in the world — up 1,193 spots since December 2017. Read all of Business Insider’s coverage of the 2019 Masters right here. Tiger Woods sent a resounding message to the sports world with his performance on Sunday. 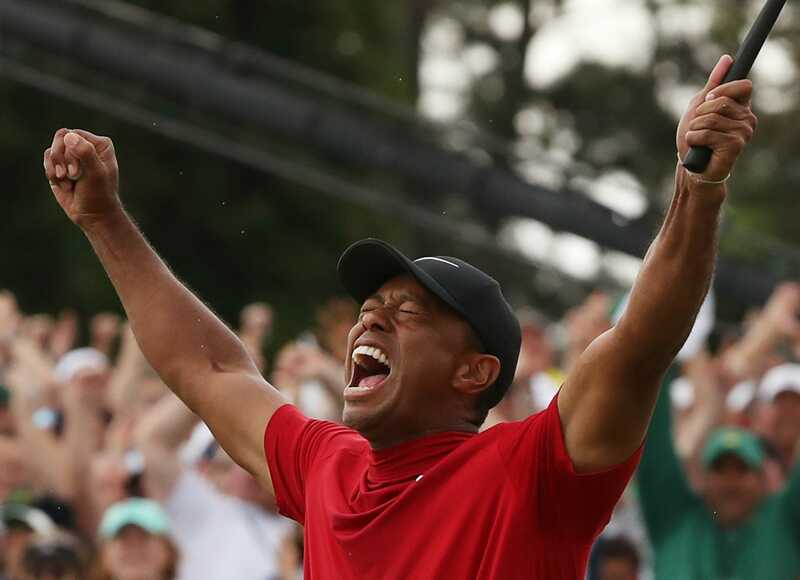 After he held his nerve to finish -13 at the 2019 Masters Tournament, Woods proved once again he is the master of the Augusta National Golf Club in Georgia, claiming his fifth championship 22 years after he won his first title there.